We hope everyone has a fun and safe Labor Day weekend. We also know that it will be full of good food, especially barbecue. To help make your grilling run more smoothly, check out this great accessory from The Companion Group. Customers can easily achieve the intense, smoky flavor of a charcoal grill on a conventional gas grill with the Moistly Grilled Smoking Platform from the Companion Group. Food cooks directly over the smoldering wood chips for a more concentrated smoky flavor. 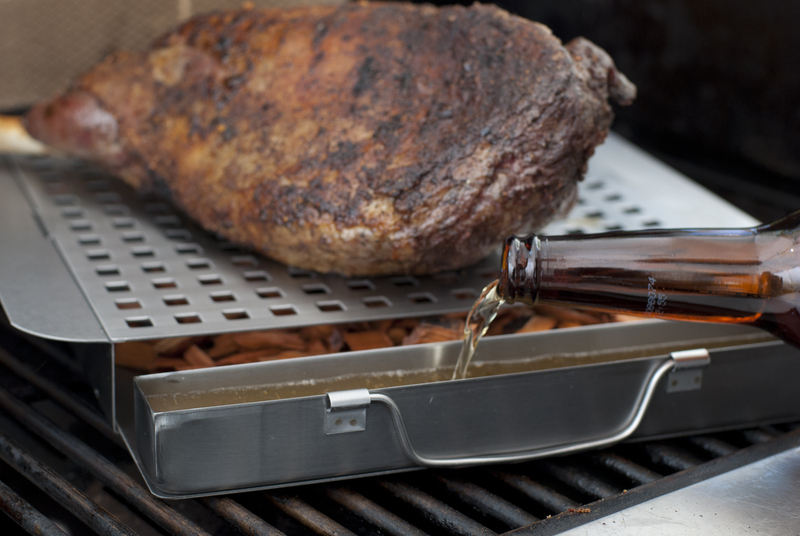 Fill the platform’s stainless steel reservoirs with water, beer, wine, juice, stock or any other liquid to create a humid grilling environment, resulting in meats retaining a much high percentage of natural juices. turning occasionally. DO AHEAD: Can be made 1 day ahead. Keep chilled. steaks to cutting board; let rest 5 minutes. Thinly slice steaks across grain.